Dublin Simon Community says the urgent implementation of the Housing and Homeless Action Plan is needed. The Dublin Simon Community have today (07 November) commented on the latest emergency accommodation figures in Dublin for September, released by the Department of Housing, Planning, Community and Local Government. 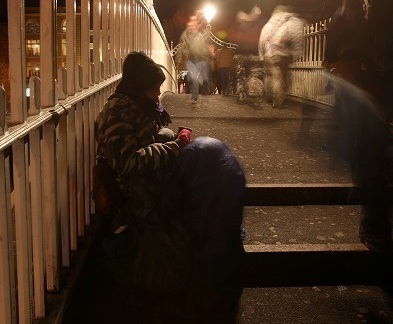 The homeless and housing charity said that as the number of families and children becoming homeless continues to rise for another month, urgent implementation of the Housing and Homeless Action Plan is needed. Speaking about the figures, Sam McGuinness from Dublin Simon Community stated: “The latest figures for September 2016 show that there were 2,988 adults and 2,065 children in emergency accommodation, totalling 5,053 people without a home in the Dublin Region alone. This compares with 2,950 adults and 2,012 children in the previous month. In the last year there has been a 28% increase in the number of adults and 54% increase in the number of children. “The rate of homelessness for families is also increasing at a rapid rate in Dublin and has exceeded 1,000 for the first time since current records began. In September 2015, there were 637 families in emergency accommodation in the capital. This is a 59% increase in the last 12 months.” “The continuing rise in the number of vulnerable adults, children and families becoming homeless highlight once again the urgent need for the implementation of the Housing and Homeless Action Plan.